About 500,000 years ago, a hyena ate a human literally down to the bone, according to a new paper that describes the gory find. The chewed up human thighbone adds to the growing body of evidence that humans were frequently both predators and prey before their numbers increased and weapons improved. The discovery is reported in the journal PLOS ONE. Project leader Camille Daujeard and colleagues analyzed the ancient gnawed human bone, which was unearthed in a cave named "Grotte à Hominidés," located near Casablanca, Morocco. "This bone represents the first evidence of consumption of human remains by carnivores in the cave," the authors wrote. They added that the "chewed femur indicates that humans were a (food) resource for carnivores, underlying their close relationships during the Middle Pleistocene in Atlantic Morocco." The relationships appear to have been too close, with Daujeard and colleagues sharing that there was "competition for resources as well as for living spaces." The researchers suspect that a hyena ate the human, based on both the many tooth marks left on the thighbone and the way in which the individual was eaten. Once the hungry hyena finished with the flesh, it crushed the bone ends and ate the deceased's marrow. The human was probably a member of the species Homo rhodesiensis, since other remains of this early human have been found elsewhere at the site. Such individuals looked a lot like we do today. The researchers wrote that, at the time, the early humans "hunted in groups and relied on new effective weapons; these two improvements allowed them to slaughter larger gregarious prey and to handle encounters with dangerous competitors. Still, this was a period of stiff competition between large carnivores and hominins..." The authors added that both groups "shared the same landscapes and competed for resources and natural shelter." It remains unclear if the hyena killed the human, or if the toothy mammal came upon an already dead individual and consumed the remains. Both scenarios are possible, according to the researchers. Bones for many other species were found at and around the site, revealing that gazelles, antelopes, bears, leopards, porcupines, wildebeest, baboons, zebras, rhinos and many other animals were in the ecosystem with humans, who likely hunted most, if not all, of them. 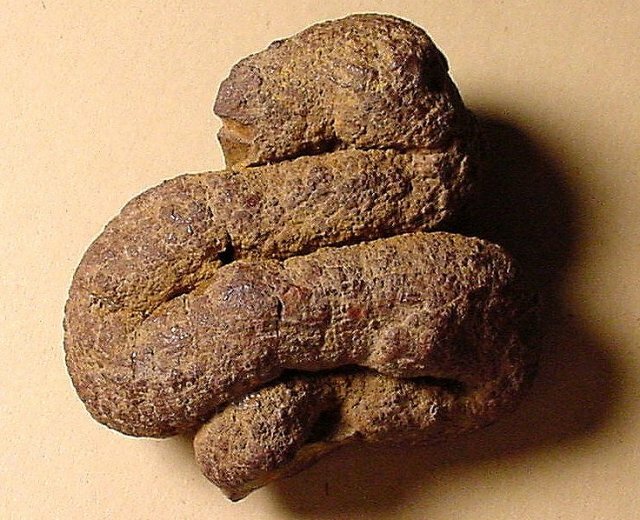 "Coprolites (fossilized clumps of poo) are numerous," according to the researchers, providing further evidence of the animals' presence. We will probably never know the true extent of the killing that went on back in the day: both humans hunting multiple species, and animals killing early humans. As Daujeard wrote in a press release: "Although encounters and confrontations between archaic humans and large predators of this time period in North Africa must have been common, the discovery...is one of the few examples where hominin consumption by carnivores is proven."